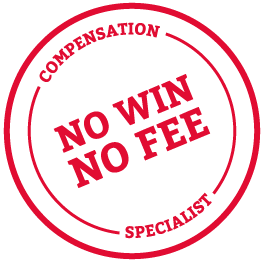 Is No Win No Fee causing a Compensation Claim culture? Making a legitimate No Win No Fee Compensation Claim after suffering a disease, accident or injury can be a catalyst to changing behaviour and the law – it can ultimately protect others from the same thing happening again. One Saturday, whilst enjoying a game of football Mr Smith was subject to what can only be described as an horrific tackle. This tackle was so bad it broke his leg in 2 places, ended his football season and bought an early end to his football career. He contacted Thompsons to seek help as he’d lost wages, incurred additional expenses in treatment and was terrified at what lay ahead in terms of earning power. Thompsons assessed his case and negotiated with the insurers of Cambuslang Rangers to secure a compensation settlement in the sum of £40,000 – enough to offer financial security in the short term and allow him to assess how he takes his life forward. When cycling ceases to become the healthier option! One of our recent clients was a keen cyclist, he was a firm believer in its health and environmental benefits – even though cycling on Edinburgh city roads can be scary at the best of times between rush hour traffic and buses. One thing he couldn’t have anticipated was an unprotected sunken drain on the designated cycle path in the middle of Holyrood Park especially since he’d cycled this way to work every day for the past couple of years.Last August, 8.30am concentrating on the traffic he hit the drain, was thrown across the road and, despite wearing a helmet, smashed his cheekbone. Unable to chew properly and with lasting facial numbness, he contacted Thompsons to claim compensation. Everyday life had changed, his confidence and enjoyment of cycling in the city had come to an end and all because of the carelessness and negligence of another party. Thompsons helped this client win £5,750 in compensation for his accident. It will never undo the physical trauma suffered, but this is an ever increasing problem in the city. If you have been hurt in a similar cycling accident let us know, you never know your call may help put an end to such carelessness and help others avoid being afflicted by a similar accident. Compensation claims have increased 3 fold this month, particularly from cyclists. With more people opting to cycle to work in the rush hour the number of accidents on the roads involving bikes has been steadily increasing. Most serious cyclists are prepared with well fitting helmets and quality bicycles, but educating drivers is another story. Roundabouts prove to be a paricularly dangerous environment for cyclists and how the City addresses these incidents and encourages people to cycle each day is difficult, but the incidents that have come to our attention most recently were almost fatalities which is worrying and these victims are going to need financial security over the next 12 if not 24 months before they are fit to work again. For this cyclist there was a least a positive financial outcome after successfully winning compensation for an accident that was not their fault.